Supreme Allied Commander is the title held by the most senior commander within certain multinational military alliances. It originated as a term used by the Western Allies during World War II, and is currently used only within NATO. The current NATO Supreme Allied Commander is U.S. General Curtis M. Scaparrotti. These Supreme Allied Commanders – were drawn from the most senior leaders in the British Armed Forces and United States Armed Forces. These commanders reported to the British/American Combined Chiefs of Staff, although in the case of the Pacific and South East Asia, the relevant national command authorities of the American Joint Chiefs of Staff or the British Chiefs of Staff Committee had responsibility for the main conduct of the war in the theatre, depending on the Supreme Commander's nationality. General of the Army Dwight D. Eisenhower served in successive Supreme Allied Commander roles. Eisenhower was the Commander-in-Chief, Allied Force for the Mediterranean theatre. Eisenhower then served as Supreme Commander Allied Expeditionary Force (SCAEF) in the European theatre, starting in December 1943 with the creation of the command to execute the Battle of Normandy and ending in July 1945 shortly after the End of World War II in Europe. In 1951, Eisenhower would again be a Supreme Allied Commander, the first to hold the post for NATO (see next section). General of the Army Douglas MacArthur was appointed Supreme Allied Commander, South West Pacific Area (SWPA) on 18 June 1942. However, he preferred to use the title Commander-in-Chief. During the Allied occupation of Japan following the war, MacArthur held the title of Supreme Commander for the Allied Powers (SCAP). The term came into use again with the formation of NATO in 1949. In 1952, Allied Command Europe was established, led by Dwight D. Eisenhower. He became the Supreme Allied Commander Europe (SACEUR). Soon afterwards, Allied Command Atlantic was established, at Norfolk, Virginia, under a U.S. Navy admiral. His title was Supreme Allied Commander Atlantic (SACLANT), and the entire command was usually known as SACLANT. Both Supreme Commander have, until 2009, been American, with a deputy commander from another NATO member, though only British and Germans have held the post. In June 2003, the commands were reshuffled. One command was given responsibility for operations, and one for transforming the military components of the alliance to meet new challenges. In Europe, Allied Command Operations was established from the former Allied Command Europe, and given responsibility for all NATO military operations worldwide. However, for legal reasons, SACEUR retained the traditional title including Europe. In the United States, SACLANT was decommissioned and Allied Command Transformation established. The headquarters of ACT is at the former SACLANT headquarters in Norfolk, Virginia, USA. Each has a Supreme Allied Commander as its commander. Allied Command Operations (ACO) has its headquarters at Supreme Headquarters Allied Powers Europe (SHAPE), at Mons, Belgium. It is headed by the Supreme Allied Commander, Europe (SACEUR), a U.S. four-star general or admiral with the dual-hatted role of heading U.S. European Command. The current (since 2016) Commander is General Curtis Scaparrotti (Army), who succeeded General Philip M. Breedlove (Air Force). Allied Command Transformation (ACT) is located in Norfolk, Virginia, USA. 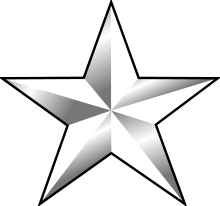 It is headed by the Supreme Allied Commander Transformation (SACT), a four-star general or admiral. Since 2009 this position has been held by a French Air Force officer. The commander of the organization is General Denis Mercier of the French Air Force, who succeeded General Jean-Paul Paloméros. General Stéphane Abrial, the commander from 2009 until 2012, was the first non-American to hold a supreme commander role within NATO. ↑ Milner, Samuel (1957). Victory in Papua (PDF). Washington, D.C.: United States Army Center of Military History. p. 22. LCCN 56-60004. OCLC 220484034. Retrieved 9 July 2012. ↑ Pedlow, Evolution of NATO's Command Structure 1951-2009.